Townhall | Pictures without film. This week Cee challenges us with the topic ‘Fences and Gates’. Well I am not really sure if this counts as a fence, but both the woodwork and the ironwork look like fences, so I thought I would use this shot from the weekend. 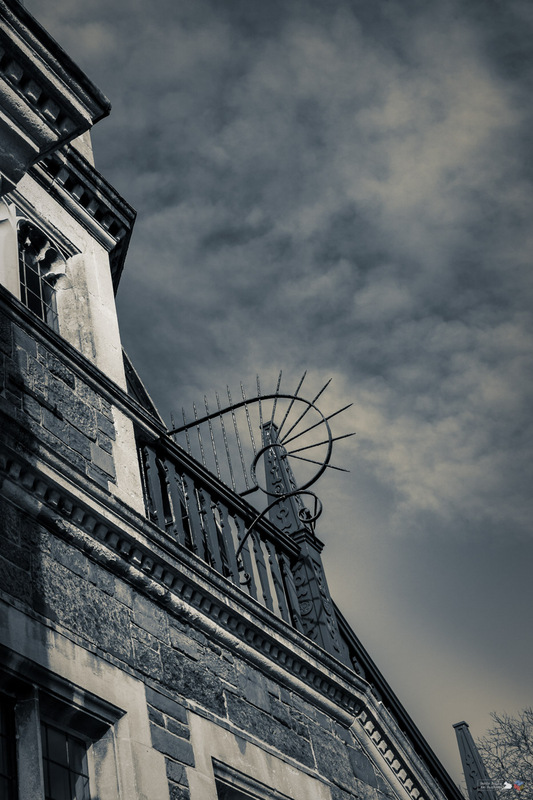 We were at Lynton and this is some of the architectural detail on the town hall. ‘Stone, wood and iron’, Lynton, 2019.